About – David Flynn Ltd. Delivery Quality Projects Safely & On Time..
David Flynn Ltd is a large regional contractor with offices in Waterford & Dublin, Ireland. DFL is renowned for delivering projects on time, combined with a High Quality Service on a diverse range of projects. The company prides itself on understanding and reacting to the needs and expectations of its clients, whilst forging strong, long lasting relationships. 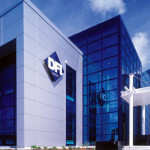 DFL has been in business for over 30 years and has delivered individual projects with a value in excess of €25 million. The company’s ethos is to manage the customer’s construction risk and bring added value to each project. The requirements and expectations may change, but the competence, attitude and motivation of DFL employees will not. A large volume of our current projects are repeat business for well-established clients and design professionals. This reputation is under pinned by our ability to deliver whilst designs evolve and variations are incorporated. We fully understand and appreciate that it’s our ability to plan and manage projects so efficiently that differentiates us from the opposition and by constantly monitoring the materials and subcontractors used this ensures that we can enhance the overall quality of the job.